Agama is enhancing its leadership in video service monitoring, assurance and analytics by offering new unique real-time analytics and visualization of massive amounts of data gathered from video delivery networks and devices. Agama 360 Analytics has its core in the highly scalable Agama end-to-end video monitoring, assurance and analytics platform. Agama 360 Analytics makes it easier than ever before to find the root cause of a problem in complex delivery chains, reducing time and effort spent by the service provider. 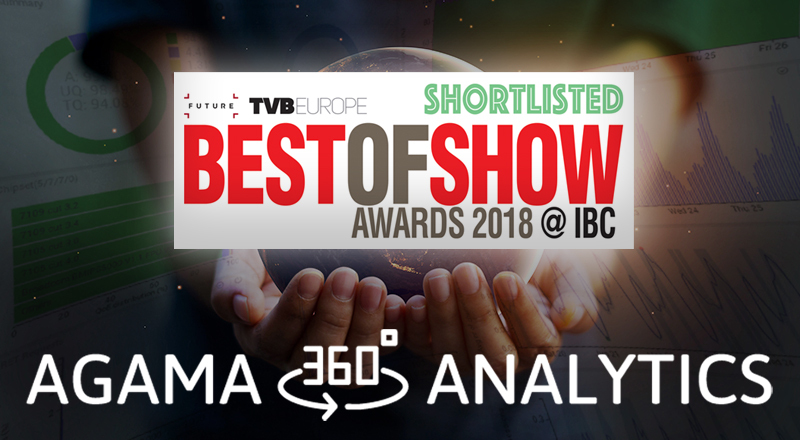 The winners of TVBEurope’s Best of Show Award will be announced on Monday 17th 2018 at IBC.